Jann Wenner's 1979 Rolling Stone review of Slow Train Coming makes the following bold statement about this new phase in Dylan's career: "It takes only one listening to realize that Slow Train Coming (Columbia Records) is the best album Bob Dylan has made since The Basement Tapes (recorded with the Band in 1967 but not released until 1975). The more I hear the new album — at least fifty times since early July — the more I feel that it's one of the finest records Dylan has ever made. In time, it is possible that it might even be considered his greatest." Wenner's review seems to diss his late 70's work (which many fans -- including myself -- consider rich and underrated) but without doubt Slow Train did reverberate in ways that nothing else had since the mid-Sixties. No one questions the production values of this first of Dylan's three "Gospel" albums. His passion for this work comes through in its attention to detail throughout. When he took it to the road, this shift to a Christian viewpoint may have been off-putting to many of his fans that year, but it wasn't the first time he encountered boos. My brother and his wife attended a Philadelphia Dylan concert at the time in which their third row seats were directly behind a row of drunks who spent quite a bit of energy hurling abuse toward the stage. This song came to mind last night while I was doing a series of pen, brush and ink illustrations for a logo my daughter had asked me to design. After completing the farm animals it was a simple matter to make the bear and the snake. 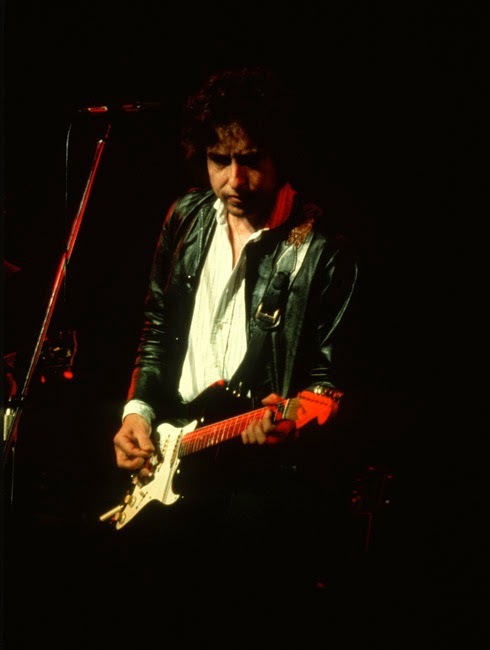 Though the song has had its detractors, in the grand scheme of things Dylan must have liked it as he performed Man Gave Names in concert 155 times from 1979 at the Warfield (where the photo above was taken) to Stockholm, Sweden in 1991. For me the song was fun the very first time I heard it, and is fun to this day. As in all his songs it isn't just the words, but how he sings them that makes them enjoyable or thought-provoking or whatever. In this case, fun. "He saw milk comin' out but he didn't know how. 'Ah, think I'll call it a cow.'" That little "ah" pause makes it hilarious. Like Adam is thinking about all this, deliberating the way a child would. Maybe we have to be like little children to appreciate its reggae-inspired simplicity. A number of artists have covered Man Gave Names To All the Animals including Townes Van Zandt. It's based, obviously, on the creation story found in Genesis 1:19-20. The manner in which Dylan leaves the last creature unnamed is a nice little zinger to walk away with. In a light-hearted way the story leaves off with a reminder that there is real danger in the world. Innocence isn't forever. Setlist for that night at the Warfield Theater. This song was fifth on the setlist that evening. 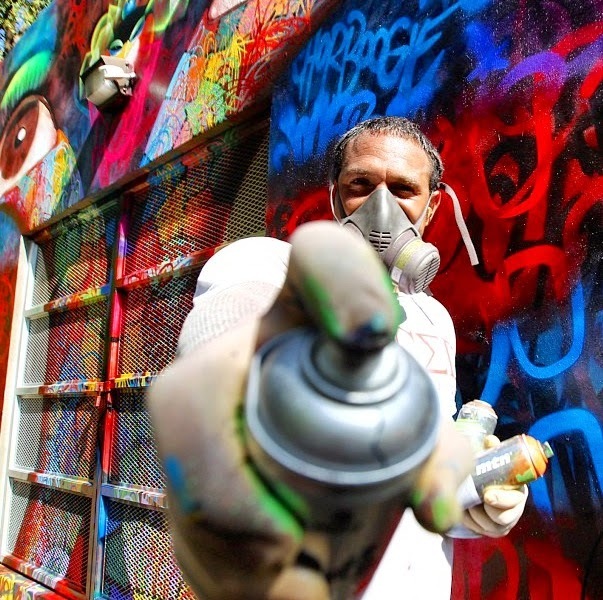 I first noticed Chor Boogie's art four years ago when I was in San Francisco. I didn't know who the artist was at the time. It was simply a striking display of street art on a wall in the Tenderloin District. Last year I found out that it wasn't just any street artist. The artist had a name: Chor Boogie. He also had built something of a following and was doing work all over the world. In September I shared some of his amazing creations here at Ennyman's Territory. A few weeks ago I learned that Chor had been sidetracked by heroin at one point in his career. This caught my attention because I'm concerned about the widespread problems we're seeing here in the U.S. at this time, in both large cities and small ones like Duluth, due to a spreading wave of heroin use. According to this BBC story a half million Americans are addicted to heroin. Chor agreed to answer a few questions on this topic as well as provide more information about himself and his real passion, which is bathed in color. EN: How long have you been making a living as an artist? 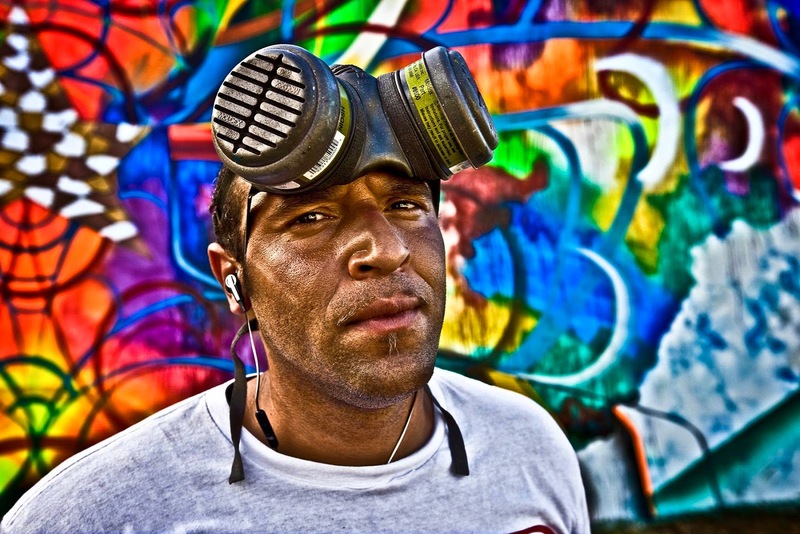 Chor Boogie: I have been living my LOVE since I was born... but technically speaking I have been making a living off my work for about 10 to 15 years. EN: What was your path from young creative person to international commissions? CB: To have fun with what I love to do, that was my path… just love what I do and everything else fell into place with a little of Making-things-happen. EN: How did drugs side-track you from your work? CB: They just side track you period… and consume your heart mind body and soul. EN: When did you first realize that drugs were getting in the way of what you really wanted to do? CB: When I was on them... I felt I was disrespecting my talent that I was blessed with so I just would not create or paint. EN: How did you kick your heroin habit? CB: LOVE saved my life... www.ibogahouse.com my participation with the medicine Iboga and retraining my heart, mind, body and soul on a daily basis. EN: Who handles the business end of your creative life? Are you flying solo or do you have an agent or manager? CB: Me and my team. The players on my team help handle and work with me… my family, which consists of friends... loved ones that love me and my work and I love them and their work... my wife, agent, PR team, graphic designers, web designers, photographer/video, production, apparel, and toys, collectors and investors. Iboga consists of my team.. love them so much. EN: Where can we see more of your work? CB: www.chorboogie.com for more up to date... Instagram, Facebook, Google+ and Twitter.. all @chorboogie... stay tuned. 100 Years Ago Today: Why Did This Assassination Result in Total War? World War I is one of the most challenging wars to wrap one's mind around because we as Americans did not understand the nature of aristocracy, geography or history in pre-war Europe. We maybe knew of a few names like Napoleon or Bismarck or King James or King Louis or whatever. But it was a mishmash. When we studied the war in high school we pretty much only knew that trench warfare was a horrible experience, brought home most forcefully by Hollywood films like Paths of Glory and Legends of the Fall. It wasn't till I read the book Maximilian and Carlotta that I inadvertently saw how World War One came about. How did this man from the royal family in Austria end up as Emperor of Mexico? Once you grasp this you understand how the assassination of Archduke Ferdinand on this day 100 years ago resulted in a world war. Maximilian was younger brother of the heir to the throne, so trying to find his life purpose was not easy if his father and brother lived long lives. He travelled to historical places and drank wine to honor those who died here and there throughout history but most of what he did was killing time till there was some occasion to serve someone in a more official capacity. 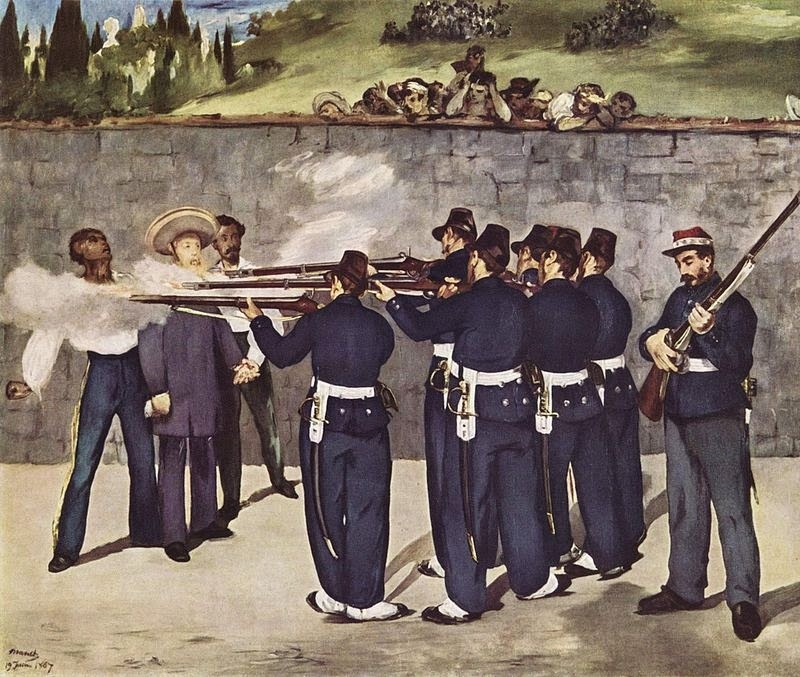 As it turns out, the occasion did indeed arise when seven French soldiers were killed during an incident in Vera Cruz, Mexico. This backstory is neglected in the Wikipedia account of Max and Carlotta, but the book details it like this. France, like all prideful nations, insisted that the shedding of French blood should not go unpunished. The solution was to take over Mexico. The Monroe Doctrine forbids European powers to meddle in the affairs of North and South America, but we were in the midst of a vitriolic civil war at the time, and the French knew Abe Lincoln was not going to put up a fight, so they (the French) came into Mexico and set up a government, installing Max as Emperor, something he was altogether happy to do. In October 1863 he took the throne. It was a short-lived failure. In 1867 he was executed by firing squad after being captured trying to escape the country during a government overthrow. By reading Maximilian and Carlotta I came to understand that royalty in all the countries in Europe were connected one way or another by blood relations in order to stabilize the powers. If you invade me, all the kingdoms I'm related to will rise up against you, so you better think twice before you interfere with that border town. Ultimately, when Archduke Ferdinand of Austria was assassinated in Sarajevo, someone had to pay. Austria declared war on Serbia. This led to more wars being declared until the Central Powers (which included Germany and Austria-Hungary) and the Allies were all at war with one another, because of these family ties and commitments. The propaganda machinery was set in motion in the U.S. to stir up animosity for "Kaiser Bill" and the Germans in order to overcome our national disposition to let Europe solve its own problems. When the Germans sank the Titanic with a giant iceberg, that was the last straw and we jumped into the war with both feet. No, wait, wrong sinking. Umm, oh, this is where the Lusitania story comes in. For what it's worth, there is value in studying history. The events of 1914 provided many lessons for future leaders. Barbara Tuchman's Guns of August, which analyzed the first world war in detail, provided insights that later kept JFK and his brother Bobby from mistakes that may have resulted in World War III during the Cuban Missile Crisis. Just a little food for thought on this significant day in history. Last night I stopped in at Trepanier Hall to get a sneak preview of tonight's "Right To Consciousness" exhibit featuring the paintings and drawings of Rabbett Before Horses Strickland of the Red Cliff Reservation. There will also be a musical program featuring Lyz Jaakola, Jake Vainio, Kathy McTavish and Richie Townsend. In addition to the program there's a book available, titled From Dreams May We Learn, featuring Strickland's art. The book includes an interview conducted by Ken Bloom, director of the Tweed Museum, a prosaic portrait of the artist by David Treuer, and stories by Jean Buffalo. It's a beautiful book which the artist will be present to sign if you arrive early enough. Ultimately, it is the art itself that is remarkably compelling, which I highly recommend attending if you are at all in the vicinity of downtown Duluth tonight. It's a free event that will make an impression on you. 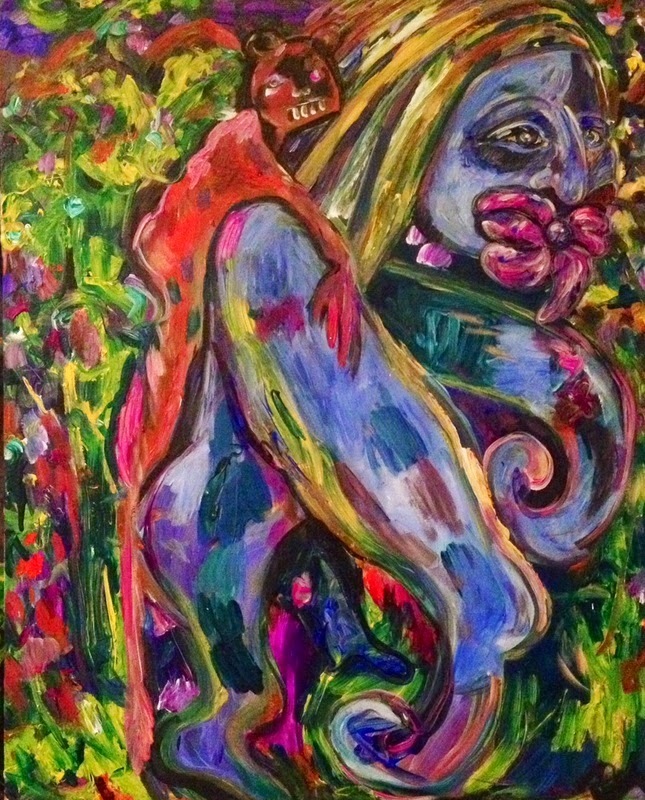 WHEN: Friday, June 27, 2014 @ 6:00 p.m.
His art depicts past and present injustices through dreams of spirits and humans centering around Nanabozho, the hero in Ojibwe stories and descendant of West Wind and a human woman. He has sold his paintings to international collectors in Japan, Europe and Canada. The artist, a member of the Red Cliff and Bad River Bands of Lake Superior Ojibwe, currently lives in Bayfield, Wisconsin. Some of his experiences growing up in San Francisco are relayed in the book. 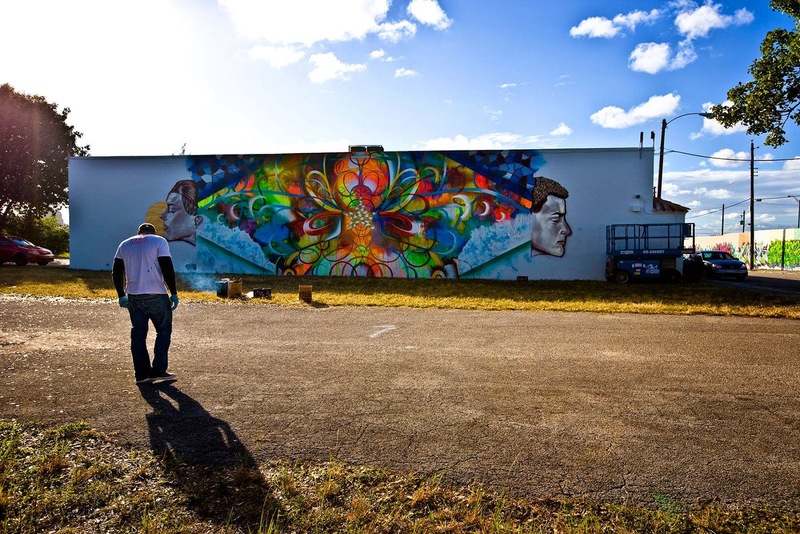 His work has been exhibited in London, Santa Fe, Minneapolis, the Tweed Museum of Art here in Duluth, as well as galleries in California. 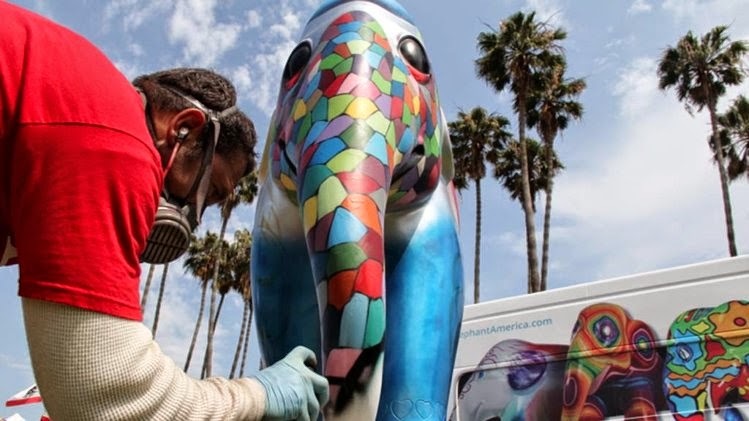 His art is also part of a traveling exhibit by Honor the Earth and he sells his paintings to collectors around the world. It's the scale of the work that is impressive. Though equally impressive is the beautiful manner in which he creates his stories on canvas, sometimes with simplicity and often with epic complexity. Hopefully, I will see you there. You can read more about Rabbett Before Horses here. 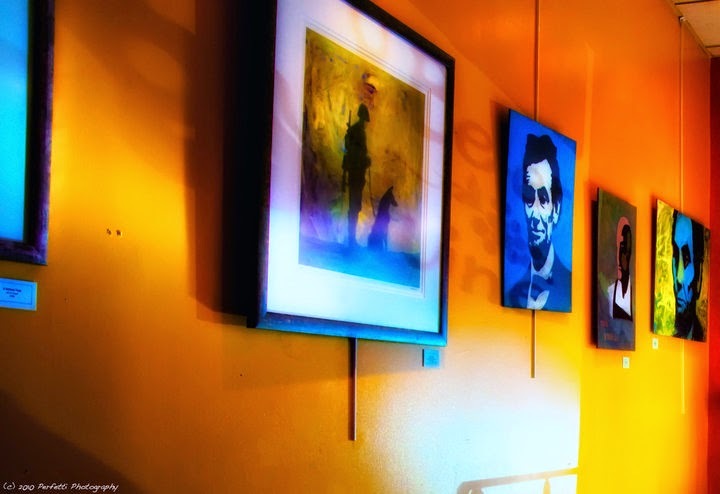 There are other places to satisfy your art fix here in the Twin Ports tonight. Renegade Theater's excellent production of the Tony Award-winning RED is still on tap at Teatro Zuccone. 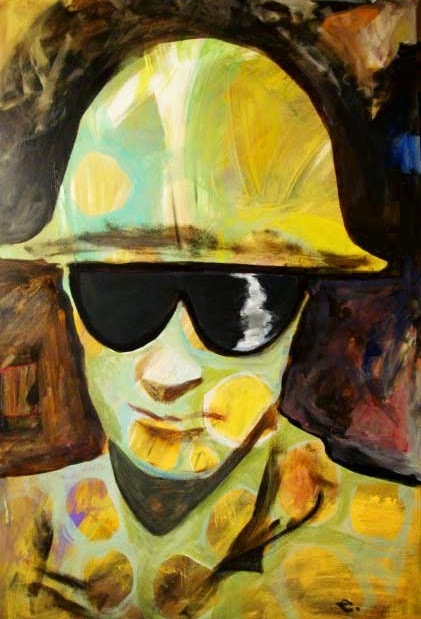 Before or after the show you can linger in the Zeitgeist Atrium to see Brent Kusterman's paintings and wall art. Meantime art goes on all around you. Celebrate it. A few years ago, during one of the Dylan Days festivals here in the Northland, I was asked what I thought was Dylan's best album. I replied that I can pick a favorite from every decade, possibly (though not really). But best of all time? That would be an impossibility. He then told me Blonde on Blonde was Dylan's best. Making that kind of call is easier for some people than for the rest of us, I suppose. There is no question that Blonde on Blonde is one of the great ones. It was the third in that trilogy of albums that pushed the limits of everything, and it has so many great songs, including Visions of Johanna and Fourth Time Around and Absolutely Sweet Marie and Just Like a Woman and Stuck Inside of Mobile With the Memphis Blues Tonight. At the time of its release I didn't measure it by the quality of the songs, however. My first reaction was that it was a double album with not as much content as most double albums. That is, I was measuring its value as if... well, like a restaurant where they serve a large plate of pasta for a so-so price as opposed to a fine restaurant with fabulous food and smaller portions. It's a weird way to measure value by volume, but I'm being embarrassingly honest. It wasn't till years later that I really appreciated the achievements of this collection of compositions. John Hinchey, in his book Like a Complete Unknown, considers One of Us Must Know to be one of Dylan's greatest songs. That's pretty high praise, considering the caliber of his portfolio. First off, he says (which I could never say) that he could imagine himself writing some of the other stellar songs on this album, but could not imagine himself writing the subtle complexity One of Us Must Know. Hinchey's exegesis of the lyrics takes up nine pages, beginning with the dichotomy between the personal and transcendental elements of the song. The chorus repeats the sense that one of the two people in this interaction is yet to "get it." And to the non-analytical listener one might read sarcasm in these lines. But Hinchey sees deeper. And when finished he finds the narrator traumatized by both positions, the one who also took what happened personal, and who did not know what really happened, but hoped sooner or later to know. I'm watching The Last Picture Show and finding parallels to the confusion these young people are encountering in their youthful coming-of-age experiences. Later in life we overthink everything, but youth, lacking experience, is unable to comprehend so many of the behaviors and manipulations of others and responses to one's own actions that occur. It's all new terrain. 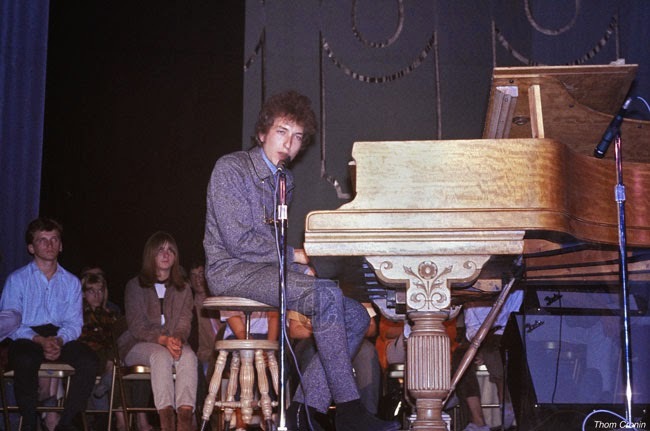 In the third verse of the song as Dylan sings, "Your voice was all that I heard," he doesn't mean that her voice drowned everything else out. Rather, he is saying that the meaning of her words was finally coming through. "I got it," he is saying. Too often we latch onto the meanings of words without hearing what is really being said. The result is that our conversations become incomprehensible. Our literal words, instead of conveying meanings, create walls between us when they are taken so literally. Perhaps this is what post-modern philosophers are getting at when they suggest that true communication between human persons is impossible. Hinchey draws attention to the last line in each verse as offering increasingly revelatory insights. "I didn't now you were saying goodbye for good," and "I didn't realize how young you were," ultimately culminate in "I never really meant to do you any harm." What did he intend? What really happened? Wikipedia describes the song as an emotional confession of misconnects and apologies from the singer to a woman who has tragically slipped out of his life. We've all been in these strangely painful places where the ground beneath our feet is shifting, where uncertainty creates a fog, where expectations are ambiguous and outcomes out of our control. The song has been performed live 60 times from 1976 to 1997. Original paintings on this page by ed newman. Greil Marcus devoted a whole book to it. 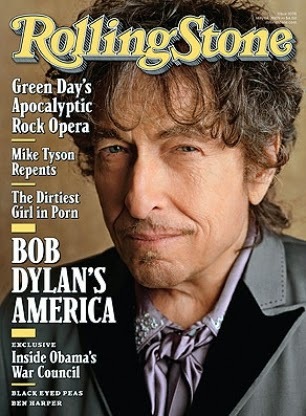 Rolling Stone named itself after it. Tuesday it became the highest selling song manuscript in rock n roll history, surpassing John Lennon’s "A Day in the Life" by $800,000. Earlier this spring I wrote that the lyrics might fetch a million or two, but close friends "in the know" said they would be surprised if it got eight hundred thousand. Well, it just goes to show you that sometimes even experts are wrong. The Rolling Stone announcement today ended with mentioning that "Like a Rolling Stone" is ranked Number One on Rolling Stone's 500 Greatest Songs of All Time list. That's pretty high praise. And even though an argument can be made that the magazine has a built-in bias to most things Dylan, the argument still holds up for Dylan's significance and the significance of this song. And it wasn't "going electric" that was the significant thing in and of itself. Elvis, Chuck Berry and a host of others had been there for some time, obviously. What's different is that rock ‘n roll was previously something fun; Dylan brought to it a new seriousness, a new sensibility. 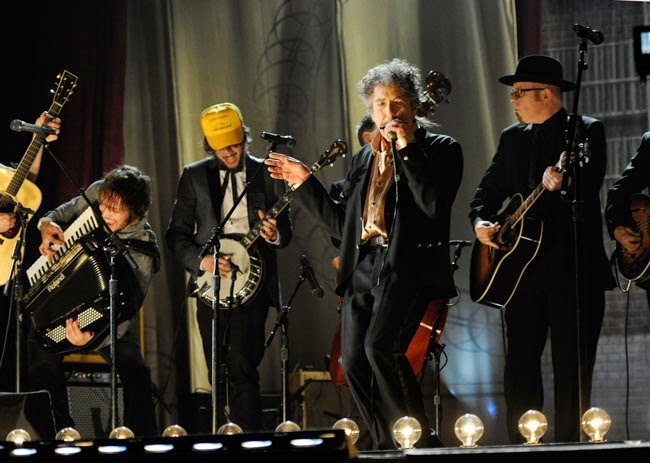 When Dylan went electric he served as catalyst for the formation of this new type of music. The natural rebuttal to this argument would be that it was the Beatles or the British Invasion that changed rock and roll. But what was it that transformed the Beatles from cheery-faced mop-top boppers into the young men who really did, for a while, rule the world? And when? When you lay their careers side by side in a timeline, Dylan's achievements in 1965 reverberated everywhere. Bringing It All Back Home was released in March. In June he wrote and recorded "Like a Rolling Stone". In July he plugged in and went electric at the Newport Folk Festival, and in August released Highway 61 Revisited. These latter events have been considered by some to be the pivot point of rock history. In 1965 the Beatles were still making love songs and foot-tappers. Everything they did climbed the pop charts like monkeys. Even in late fall they were still churning out songs like “Kansas City/Hey Hey Hey Hey”, “Boys” and “Roll Over Beethoven”. That year the movie Help, as a follow up to Hard Day's Night, placed them squarely in the center of a well-established Hollywood pattern to capitalize on youth heroes for commercial gain, as it had done previously with Elvis, who became only a pawn in their machine. The Fab Four were definitely a sensation, but in a manner wholly other than Dylan. The Beatles were commercially hot. Dylan was cool. Hence, Marshall declares, "My argument is that Dylan was the first real Rock Star. His razor-sharp hipness in 1965 and the strung out excesses of 1966 laid down the prototype for his new social role. Some of the substance of Dylan’s new star-image was rooted in his public persona developed as a folk star but his image in 1965-6 is a clearly different type of star-image." A prototype of things to come. There will likely come a time when other manuscripts obtain even more stellar prices at the auction house, but for now, "Like A Rolling Stone" has produced yet another milestone for the record books. And for Dylan, who has already achieved so much in the past half century, it's probably just another day in the life. Just a shadow of myself, near the Thompson River. Yesterday on National Public Radio I had a chance to hear part of a presentation by Richard Louv on the value of being outside in nature, especially for children. In his books Last Child in the Woods and The Nature Principle he explains the how our psychological, and even physical, health and happiness are improved through interactions with nature. At one point during the hour a statement was made about how essential it is for children to have periods of unsupervised play. Playing develops imagination and creativity. Having every activity in a child's life regulated and defined counters this natural development. Being outside opens us up, as opposed to sitting in front of a video game with its structured world. It immediately brought to mind my own experiences growing up, the play-acting we did with our stuffed animals, the games we created out of thin air. Our imaginations ran rampant, without "parental guidance." We pretended we were baseball stars, football heroes and sometimes pretended we were saving the world from destruction. Little did we know how invaluable these experiences were. “Have you ever noticed that if you leave old junk lying around, kids will almost inevitably play with it? Whether it be old cardboard boxes, wooden pallets, pieces of wood, old tires [sic], bits of rope or string, kids will use their imagination and ingenuity to make something. This may make your garden look like a junkyard sometimes, but the experience for the kids is invaluable and it will keep them occupied for hours. Don't try and direct the kids in their play, just let them get on with it.” Nicholson, S, "How Not To Cheat Children: The Theory of Loose Parts", Landscape Architecture 1971. It reminded me of an old Dave Berg cartoon in Mad Magazine where the little boy opens his expensive Christmas present and immediately climbs into the box, driving it as if it were the cockpit of a car. In August 2008 I touched on this theme in a blog entry titled Coloring Outside the Lines. In it I dealt with ways in which our freedom is squashed, and how it can sap our joy. Sometimes kids, and adults, need to learn how to make their own rules. This is not to say that chaos is the secret of happiness. Finding balance is key, but if we are always creating "safe" environments and games with rules, kids will never learn how to create their own games or their own identities. Imagination isn't just for kids. Imagination is useful for problem solving in business, in sales negotiations, in new product development, in creating advertising that will engage a viewer, content that will engage a reader. Imagination is as important in the boardroom and the courtroom as it is on the playground. Something to think about as you glide through your day today. Today's Art Daily eNews featured Bob Dylan's handwritten lyrics to Like A Rolling Stone in its Picture of the Day photo feature near the top of its page. I would open with that photo here except I do not know who owns the copyright, so you'll need to follow this link. The manuscript got a pre-viewing this weekend at Sotheby's, the auction house of record for this potentially record-breaking transaction. I noticed how the manuscript has been handled with care in plastic sleeves, and undoubtedly with historical documentation. That's what struck me about artifacts I've seen in the possession of other collectors, including a pair of handcuffs once owned by Harry Houdini, and the handwritten lyrics of Dylan's A Simple Twist of Fate. 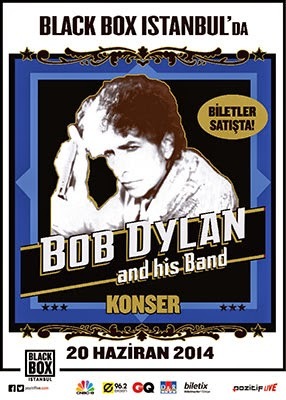 For what it's worth, Dylan is currently touring the Middle East right now, having performed at the Black Box in Istanbul last Friday night and Thessaloniki in Greece last night. This is the same place where the Apostle Paul founded a church in the first century, to whom he wrote two letters which have been included in the canon of the New Testament. A lot has changed in the world since that time. In fact, Things Have Changed continues to be Bob's opening number as he proceeds to make his way around the world one more time. 73 years old and still going strong. One review that I read of the Istanbul show said he was better than ever. The website included two videos with Bob performing Duquesne Whistle off Tempest and Forgetful Heart, one of my favorites from Together Through Life. If you take a listen, you'll hear he has some of that musical lyric quality back in his voice. The posters for this current show feature an illustration of Dylan that comes close to being a David Bowie image. There's something about "the look" there. Am I right? Doesn't he look like Bowie in this picture? For what it's worth, this blog doesn't really carry all the Dylan News that's fit to print, just occasional highlights. The two places best suited for avid (rabid?) Dylan fans are ExpectingRain.com and BobLinks.com. The latter details all his concerts, comings and goings, while the latter is a mashup of Dylan news from here, there and everywhere. As for that handwritten manuscript, the lyrics of Like a Rolling Stone, Forward, the Jewish Daily, is guesstimating that it will sell for $2 million dollars. My Dylanologist friends thought $1.2 million was a little high when the initial estimate was put out there of its value in May. That's a lot of change, and unfortunately I haven't quite saved up that much. What do you think this manuscript will fetch? Should we start a pool? Meantime, tonight Mr. Dylan will be in Athens. And life is flowing on all around you. Dive in and take a swim. Yesterday Gretchen Seichrist talked about her art and the founding of her Even Break gallery space. We briefly touched on her music and I wanted to make sure we got into that a little more here. With her band Patches and Gretchen, Seichrist has earned numerous Twin Cities accolades these past few years. EN: Your musical sound is quite outside the mainstream. How did your style develop? GS: It began with my words and probably phrasing that I wanted to keep in the forefront and build music around. My experience in life has been outside the mainstream, so that makes sense that the music would be. I’m lucky that the last few years, that I found two incredibly versatile musicians who are completely unruly to co-compose the music. I think the music we make starts with my words and mood and then pulls from all kinds of elements and styles of music that we all have a love of -- knowledge of… definitely humor and the oddness of life. Nothing is off limits and we don’t try to stay in a genre. We’re all very full, expressive personalities and I think we don’t try to smooth that personality out of the final work. When I am performing or composing I'm not trying to stay in the role as female singer. I tend to forget all of that in creating and I’m focused on what I want to explore at the time. There are definitely conceptual art things going on in the music and performances sometimes. EN: Who have been your influences? GS: Bob Dylan, of course…. soul music. EN: How much of your songs are worked out in advance? Is there an improv element to your recordings? GS: Actually they are worked out to a T. Every single ping is thought out precisely and then sometimes there is that decision to trust in a certain spot that we’ll know exactly what to do when we get there. Live, there is always a lot of room left for improv. I think my favorite place to be is at the "we are falling apart and this is not my body anymore" dimension. I love that feeling on stage when I have no idea what is going to happen and yet I do. EN: If someone were to ask what kind of music you sing/record, what would you call it? EN: I especially enjoyed your song The Voot, which has a recurring Daniel Boone riff in it. For what it's worth, I myself am a descendant of Daniel Boone. Can you tell me a little more about the backstory for this song as well? GS: Oh my, that is amazing! Well, let me think... It's about how evil operates in tiny ordinary doses in a hidden way and bringing to light the little sacrifices of humanity people sometimes are really asking you to make. The Voot represents the last stand against it all. I think of it like Gregory Peck playing Atticus Finch in front of the jail house when the town mob came..... he's standing in The Voot! Also, this is funny, you said whirlwind before....it was a song on my first album.... pretty rough song. EN: Do you have some other videos online that I can share? EN: What are your current career goals as an artist? GS: Have my own bedroom. I want Bob Dylan to cover one of my songs and wear one of my spaceship, lonesome kid t-shirts on his tours. Alternately, he can pose for a painting with the t-shirt on while he learns my song. To record the first album for my new band, The Lonesome Kid, out-of-state with an innovative producer by next fall. Acquire a mobile Even Break Gallery vehicle and go on the road with my band doing improv-music performances. Move Even Break Gallery to a storefront-workshop space. Locate running support for gallery. Continue to experiment with shows and performances at the gallery. To host activists and climate related speakers for conversations/shows at Even Break. To take action in climate change events and protests against climate destruction and for indigenous land protection. To build up a barter bank of lessons and services. Continue to experiment with shows and performances at the gallery. To connect to others who are geared towards a sharing economy. Continue and expand the Even Break Garden partnership with North Country Food Alliance. Find an agent to sell my paintings so I can do all of the stuff above. EN: Thanks for sharing so much of yourself here. I do love your song selections. Very much a yes to Dylan's Pay In Blood cover. Best to you as you press on. Meantime art goes on all around you. Sing your song... and dream. I met Gretchen Seichrist last Saturday as part of my whirlwind tour of Minneapolis. I'd gone there to hear motivational speaker John Geneen at Even Break Gallery before sliding through the rain to see a fragment of Northern Spark at the Walker. Driving home later that evening I was accompanied by the music on her CD Even Breaks. Tomorrow I will share Part II of this interview where we talk more about her music. EN: How did you come to take up making art, especially painting? Gretchen Seichrist: My father was a designer / photographer and I would sit on the floor by him with his markers while he worked at his drawing table. He taught at The Minneapolis College Of Art And Design and I would tag along when he had to go into the school. I was exposed to art, film, and photography all the time. It was the 1970’s, so all these political and social movements were connected to art and the college. He talked to me about interesting people and things going on in the world and showed me things in a visual way. He took me to see things that maybe other parents would have thought were too intellectual for children. He made a point of talking to us about other cultures and the why and how things came to be. I remember he took me along on photo shoots and on some of these shoots I met Roman Polanski, Walter Mondale, and Dennis Banks, Russell Means and Clyde Bellecourt of The American Indian Movement. This is when I was about eight. Then he would explain who they were and what their viewpoints were. I took it to heart. I think he cultivated empathy in me by showing me these things going on in the world whether he intended to do that or not. EN: Who have been your influences as a painter? GS: Probably a lot of the German expressionist painters. I went to an exhibit once in Chicago (I think) as a kid, and the large, wood sculptures of Erich Heckel were being shown. I remember vividly how exciting that was to me. These carved figures were rough, and painted in bold colors and they were more gutsy to me than anything else I’d seen. Plus they were naked and all blue, red, yellow and green.Other painting influences are probably so - called outsider art or folk art. 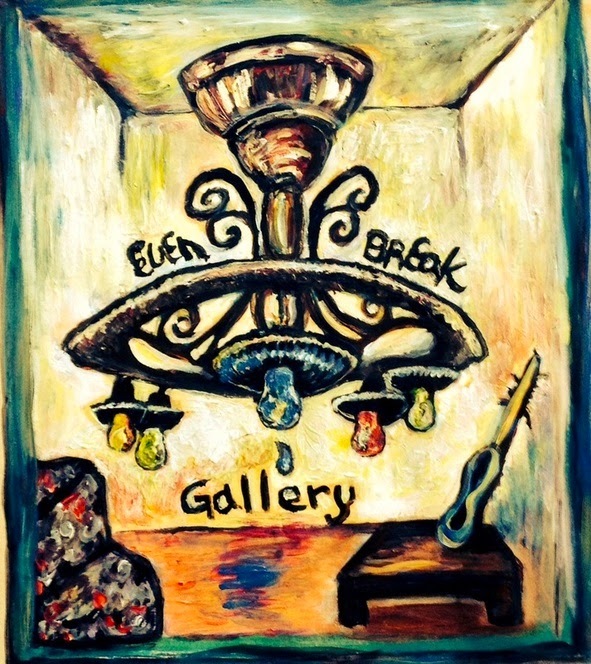 EN: How did Even Break Gallery come to be? 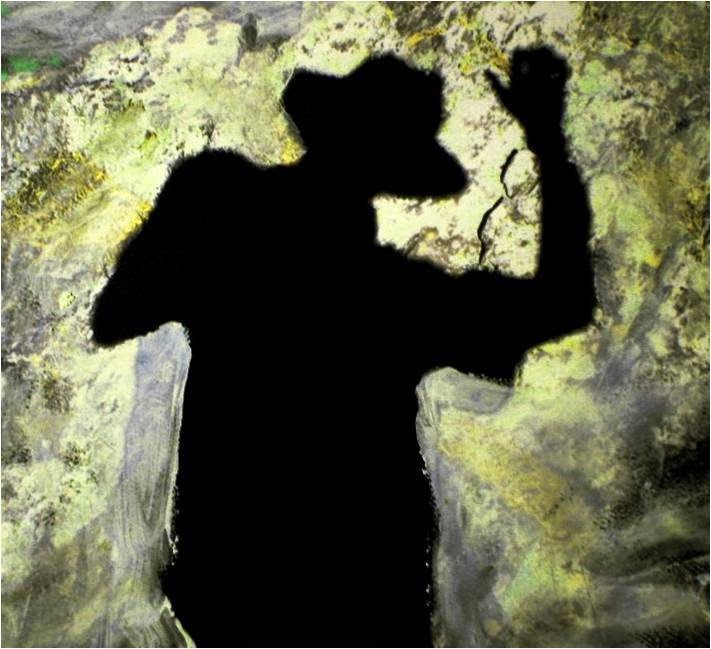 My music performances and visual art are intertwined and I was finding that the venues/bars were too limiting. Nobody understood what the hell we were doing. I got a lot of angry reactions. And It seemed like I wasn’t considered a real artist or musician in the community enough to be included in the music events around etc…. Anyway, I just didn’t have it in me to figure out the code or play that game. I was busy raising kids alone while I was making art and music. I was also being harassed at the time and I was just really bewildered by the pettiness and bullying all around at the time… people were bad-mouthing me professionally, sending hate emails and I was getting tons of online misogynistic harassment from the old, rock-and-roll boy-network and their girlfriends in town. The Minneapolis music scene was, to me, so clique & passive aggressive, so I just said screw it, I’ll do it here. So it happened by default, too. I was pretty down, but I couldn’t stop making art and music. I’ve been put in this sort of freak-novelty-crazy woman category here. My band, Patches and Gretchen got some good press a few albums back when I had local well-liked male musicians playing with me, but still I was always portrayed as sort of a novelty. They’d haul us out on Halloween or whatever... but my songwriting -- composing is integral to me -- and my two band members, Danny Viper and Christopher Thompson can do anything musically, so we just kept going and creating. We released two albums last year while we made the gallery. Later, we started inviting other musicians to do events. We’ve had musicians of all sorts perform. I purposely didn’t want to just get acts that fit a type of music. Sometimes our band might interact in the performance or not. We did some theatrical stuff here and recently my former band, Patches and Gretchen worked with an improv group weekly on our show, Even Breaks. The shows are always free. We put out the donation can, but for me, it’s more about trying to find open, creative people trying to make life more bearable or making something better for someone. But it’s tough. It’s hard to break through and make those connections. Everybody is all grouped up here and it’s the tendency to call somebody weird or crazy instead of imaginative. Or maybe it’s just me. Tomorrow... A little more about music and dreams. Every once in a while certain words seem to become trendy. You don't notice them at all and then suddenly they begin to appear everywhere. About 25 years ago it seemed like the phrase hunker down was being used everywhere, from camping to politics. The word of the day right now seems to be muscular. Last weekend I noticed the word in an essay about Walt Whitman's poetry. Nearly every day this week I heard something be referenced as muscular. "The U.S. needs to make a muscular response to the situation in Iraq," was on the news this morning. If you hear someone use the word muscular today, let me know how it was used. On this day in 1877, German artist Kurt Schwitters was born. Next Thursday Germany will face off with the U.S. in the World Cup. My story "Two Acts That Changed the World" is about a German scientist during WW2 who discovers the solution to the atomic bomb but feels compelled to thwart Hitler while conveying the solution to American scientists pursuing the same objective. The story, which originally appeared on my website in the mid-nineties, is the lead story in my first volume of stories Unremembered Histories. I began building my first website in 1994-95 as a way to learn about the World Wide Web and also as a means for sharing some of my creating work, similar motives for the development of this blog. I usually learn new skills by reading books, buying a few for my personal library, and then applying through doing. One of the books I purchased was titled How to Learn HTML in Two Weeks. I am not a great programmer, but the rudimentary HTML that I learned at that time has gotten me out of many a jam, including here on Blogger. When Adobe Pagemill was introduced in the mid-nineties, they were in such a rush to get it to market that they forgot to include certain important information inthe User Guide. The day I got it, I went online to a PageMill user group to find out this crucial information. The author of the instructions was in the group! She said that they would add that info immediately. My website included articles, art and short stories, plus a Labyrinth which I created as a tribute to Jorge Luis Borges, the Argentine short story writer perpetually fascinated by labyrinths. I am certain he would have loved the labyrinthine hyper-linked connectedness of the web, pages with links to other pages with links to other pages, much like a house with infinite rooms. Don't see a room to your liking? You simply create a new room, fill it with objects and hyperlink it to the rest of this cyber-construct, an amazing, ever-expanding virtual universe. This weekend, more than 8,000 marathoners will be in town for Grandma's Marathon. If you like crowds and activity, there will be plenty here in the Northland. For what it's worth, John Bushey of Highway 61 Revisited will be all set up at Valencia's on London Road, playing Dylan music for the runners as they pass the half way point, reminding all those out-of-towners that one of Rock's great singer-songwriters was born here up on the hillside. Valencia's is across the street from the Duluth Armory where young Robert Zimmerman at age 17 had come to hear Buddy Holly and the Crickets and when Buddy Holly looked at him "he felt a spark tingle to his bones." Meantime, life goes on all around you. Embrace it. Ken: Do you ever get tired of telling people what art is? It's a sunrise. It's a throbbing heart. It's a crimson sea, a flaming rose, a cardinal, a cherry, an apple, a blushed wine.... No, it's RED, the 2010 Winner of the Tony Award for Best Play on Broadway. And for the next two weeks you can see it here at Duluth's Teatro Zuccone June 19-21 and 26-28. No, wait. You should go out of your way to see it here. When RED first appeared on Broadway I knew I wanted to experience it. I didn’t know then that I would get the opportunity so soon. The play by John Logan has been brought to life here in the Twin Ports by the Renegade Theater and with exceptional results. Directed by Anika Thompson, the two-man show features Jody Kujawa as the painter Mark Rothko and Paul LaNave as Ken, his assistant. Both deliver with excellence in a performance that really should not be missed if you are in any way associated with the arts. But you don't have to be part of the arts to enjoy this show. It is both entertaining and thought-provoking, and a worthy contribution to the local theater scene. This is Thompson’s eighth production as a director with the Renegade Theater Company. Congrats for the manner in which you pulled this off. When it arrived in New York it received plenty of critical acclaim, but the challenge of a two-man show covering ninety minutes seems somewhat daunting to me, but they did it, achieving it in an utterly compelling manner. As an art student back in the early seventies I was more than familiar with Mark Rothko and the abstract expressionist movement of which he was a part. The play Red takes place at a critical juncture in his career as he has captured a major commission to decorate a dining room at the prestigious Four Seasons restaurant on Park Avenue in Manhattan. This play deals with events over the two year period he worked on this project with his assistant Ken. From the start this is a recurring theme in the play. What do you see? Not only when you look at a painting, but ultimately, when you look at your life… and its context in the larger scheme of things. At the beginning, Ken is looking at a painting. By the end, the audience is looking at the meaning of art, of life, of experience, of values, and more. Ken, who never does have a last name and whom we never really know much about other than he also has aspirations as a painter, has been hired to assist Rothko on his project, 8–5, five days a week. The ninety minutes of performance help us to seamlessly bridge two years in their relationship. There are many, many pearls in this script. Rothko provides plenty, but Ken ultimately turns the tables and cannot be taken for granted. “Art is more than painting techniques… to become an artist one must become civilized,” Rothko says early on. “To become civilized one must learn. To surmount the past you must know the past.” Philosophy, religion, history, literature… all these are building blocks toward making the artist. It’s not just learning the color wheel or how to apply paint on a surface, the master painter declares. Rothko’s method or approach to his work reminds me in some ways of my own. He puts paint on the surface, and then waits till he knows what to do next. “I have to study them,” he says. “Most of painting is thinking. Only 10% is throwing paint on the canvas.” I can relate to that sentiment. The play itself has a nice blend of lighter moments to take any edge of the serious content. In one soliloquy Rothko is allowing the play of names to roll across his tongue, the way he imagines some future critic will recite it. “Rembrandt and Rothko. Rembrandt and Rothko. Rothko and Rembrandt. Rothko and Rembrandt and Turner.” The enormity of his ego is portrayed in both a comic and tragic light. Ironically, I saw the world more like Rothko than Ken when I was young. I’d wholeheartedly bought into the abstract expressionists. I did not understand Pop. I did, however, appreciate the go-betweens like Rauschenburg, Larry Rivers and such. Today we have artists like Jeff Koons testing our boundaries, not only creating buzz but a rather sizable nest egg. There is plenty of discussion in the play about the meaning of art, how paintings are experienced and what makes them live. And the recurring theme… what do you see? How does it make you feel? And why? The play addresses issues of meaning and values as well as fame, Pollock’s suicide and tragedy. It is beautifully done, inspired and inspiring. Like the artist himself, it aspires to greatness, and the cast does an admirable job of stretching toward the same. Quick note about the set. Nicely done. Kudos to local artist Andy Frye, who also happens to have a few of his paintings in the hallway outside the theater entrance. Maybe you can own one in your own dining room somewhere. What to do: See it.